Knowing how to improve indoor air quality can protect your family’s health and help you spend less time cleaning. 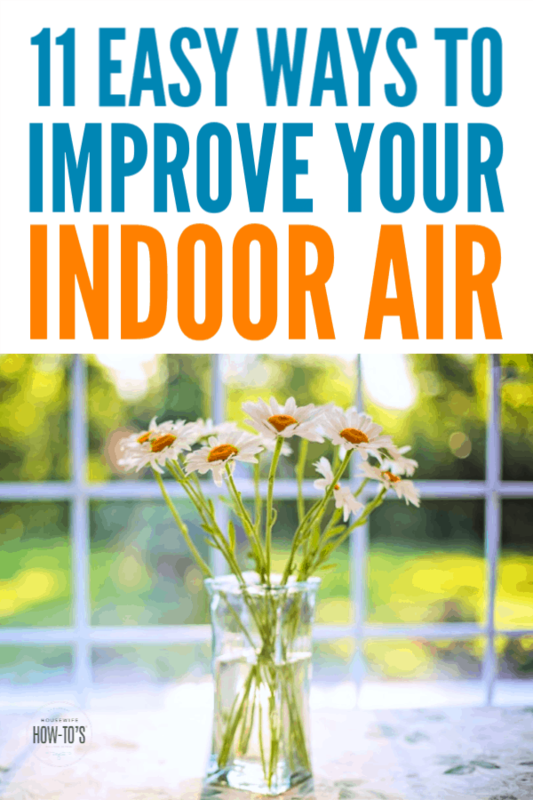 So many of us take our indoor air quality for granted. We have walls and windows keeping smog out of our homes, after all. Even smokers often take cigarette breaks outside rather than filling their home with second-hand smoke and odors. But there is more to improving indoor air quality and reducing indoor pollution, and your family’s health may depend on it. In addition to the obvious things like tobacco smoke or unventilated chimneys, there are other less obvious sources of indoor air pollution. 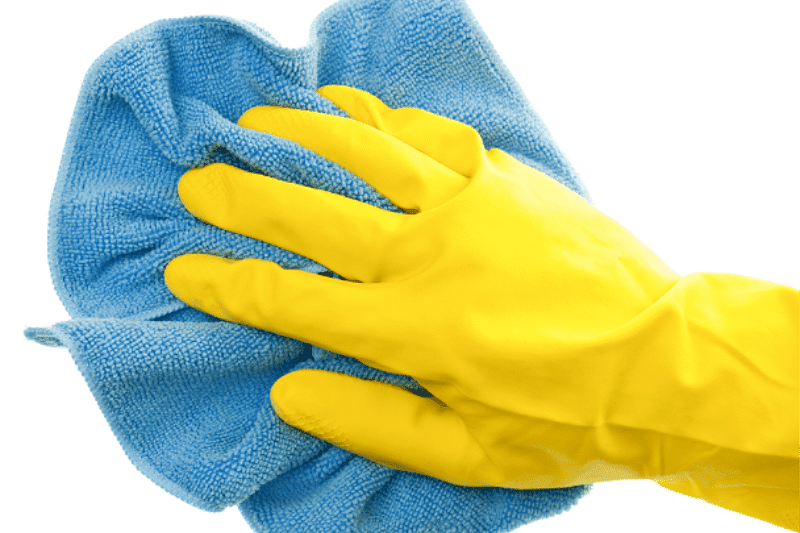 CLEANING PRODUCTS CAN POLLUTE INDOOR AIR, TOO. 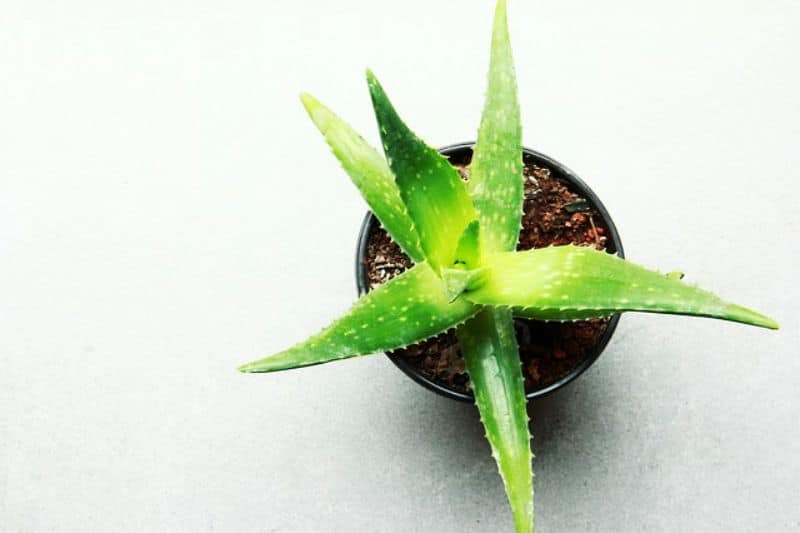 Some pollutants are things we use in the belief they’ll make our homes cleaner, like the chlorine bleach in laundry or cleaning products, or the propellants and other chemicals in air fresheners. But, over time, these accumulate in a home’s air and even interact with other substances to create indoor air pollution. Many times, we aren’t even aware that our home is filled with indoor air pollution that is causing us health problems. We’ll have a cold that just won’t go away or sniffles that won’t stop. Maybe we’ll get itchy eyes, a scratchy throat, or even an unexplained rash. If it’s winter, we assume we need to increase our home humidity levels, and in the summer we think it’s allergies due to ragweed or something else outside. But often, the cause can be traced back to indoor air pollution, which can even lead to cancer and chronic obstructive pulmonary disease (COPD). According to the World Health Organization, 4.3 million people die each year from the exposure to indoor air pollutants. In short: your indoor air quality matters! 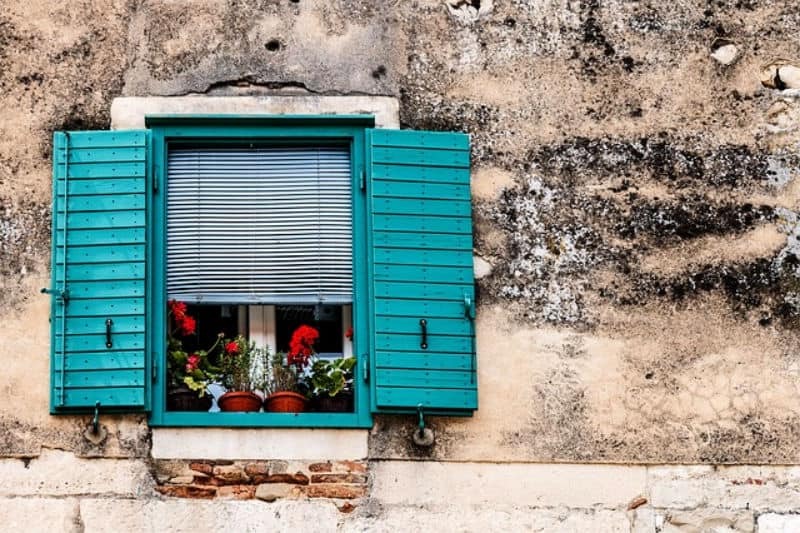 Keeping your windows closed traps irritants indoors. 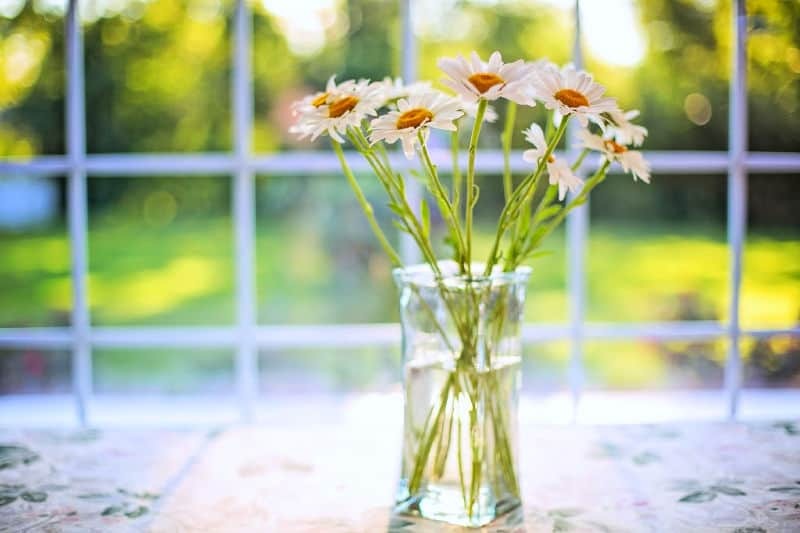 When the temperatures are mild, open windows on opposite sides of your home to create a cross-draft to quickly freshen your indoor air. If a family member suffers from outdoor allergies, do this during times pollen is lowest: immediately after a good rain, 2 hours after sunrise, or late at night. 3. Use the Right Duster. 4. Get your home tested for radon. 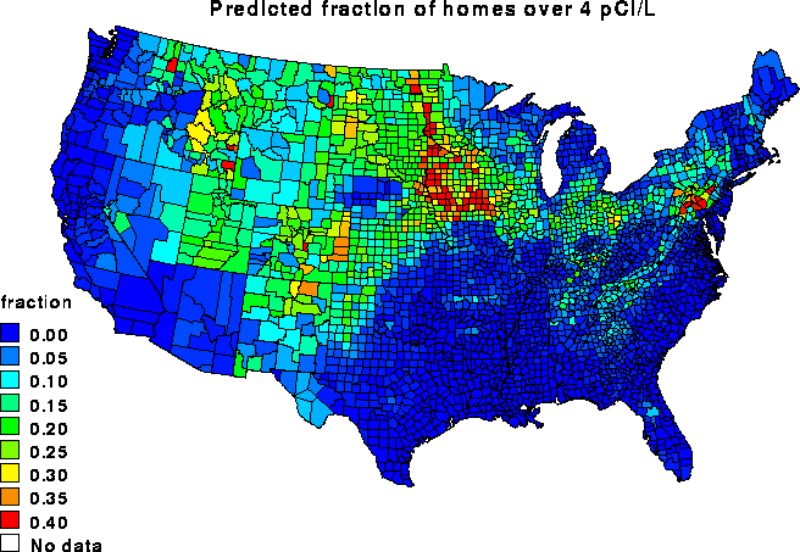 It’s estimated that 1 in 15 U.S. homes has an elevated radon level. This naturally-occurring gas travels up through the soil into your home’s air, which is one reason it’s found primarily in basements. The leading cause of cancer in nonsmokers, radon is both invisible and odorless, making it essential to test your home at least once. You can find radon kits for as little as $15 at hardware stores or online. 5. Choose decorating fabrics wisely. Silk and dry-clean-only fabrics may look lovely but, since they can’t be easily laundered, they also hold onto contaminants in our home’s air. 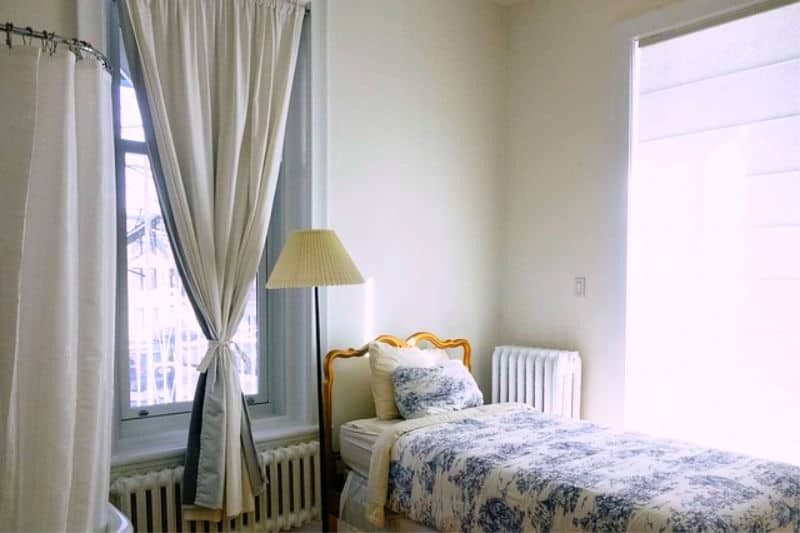 Opt for washable fabrics, and clean your curtains seasonally. If you already have non-washable materials, be sure to vacuum them regularly. 6. Use the right vacuum, properly. 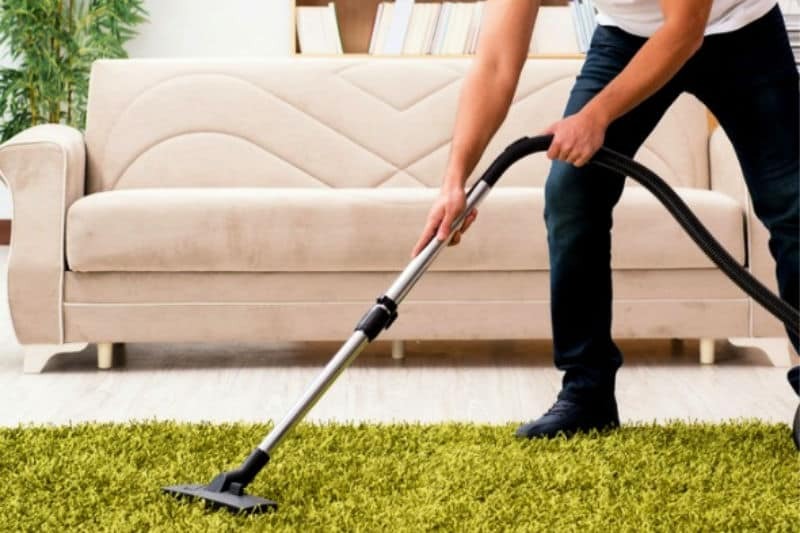 When you do use it, vacuum properly: slowly, making four passes (back and forth then back and forth), overlapping passes each time. 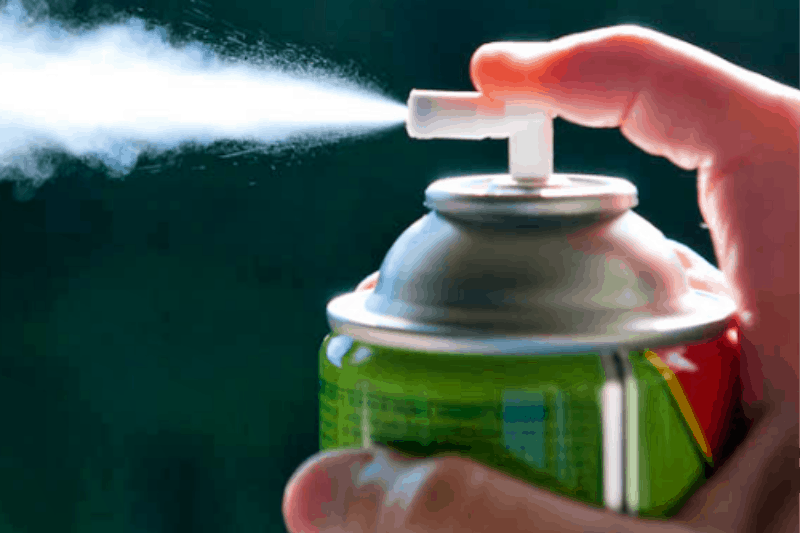 Products that come in an aerosol form contain butane and propane propellants that deliver the product. Those spray cans of air freshener? They might leave your air smelling nice, but it’ll hardly be fresh. Switch to spray bottles when you can, and run products through The Good Guide to check their health safety. 8. Get a natural clean. 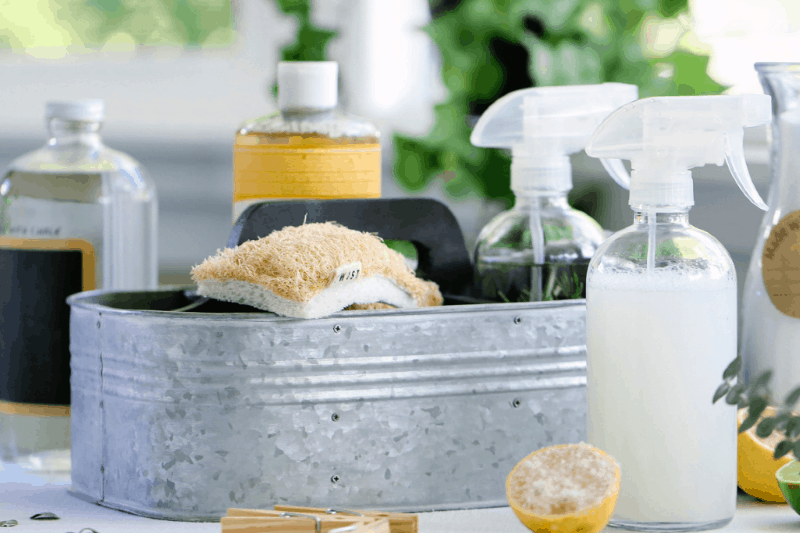 Homemade cleaning products aren’t just economical, they’re better for your indoor air quality, too. 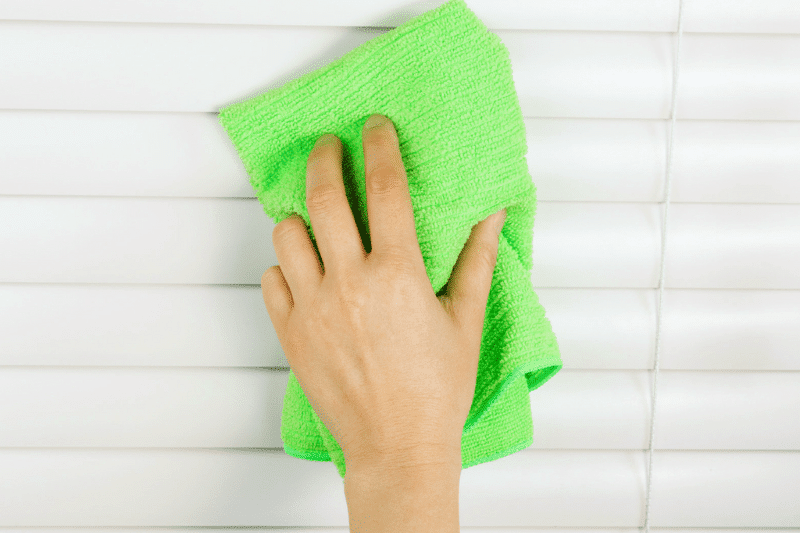 Ditch the ammonia-based glass cleaners and make your window spray for pennies. For more DIY products, check out my section on homemade cleaning products. Make the most of your home’s HVAC system, if you have one, by changing your filter seasonally, if you don’t have pets or allergies, and monthly if you do. 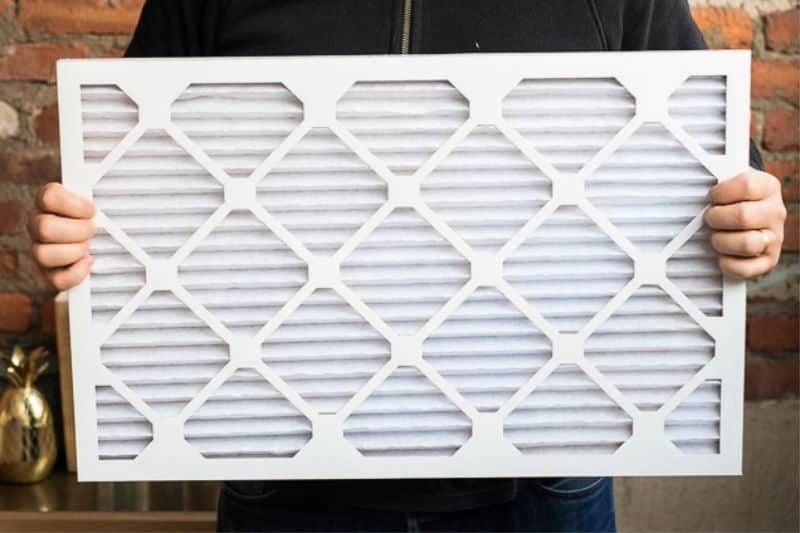 While cheaper filters do an adequate job removing ordinary dust from your home’s air, if you live in a high-pollution area you should consider springing for the ultrafine particle reduction HEPA filters. Scented products emit VOCs, including some that are classified as hazardous or toxic. 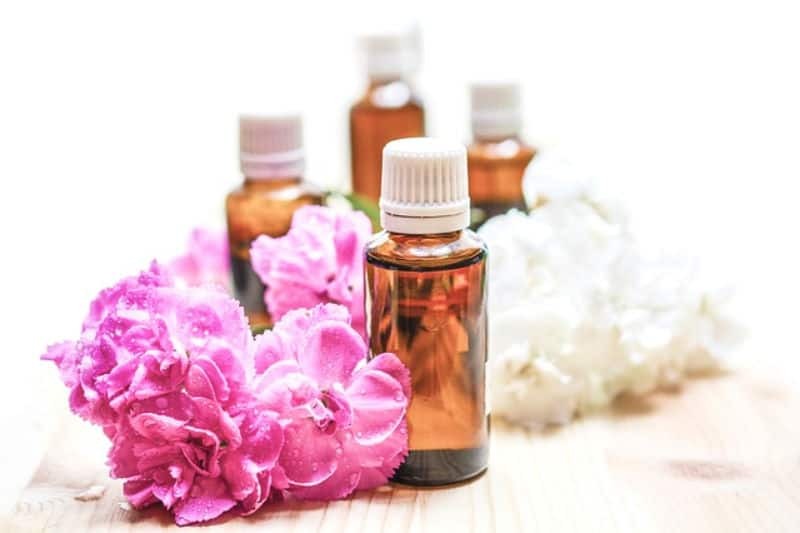 This includes essential oils as well as cleaning products like disinfectants and sprays, laundry detergents and fabric softeners, lotions, body washes, deodorants, and shampoos. Fragrance-free means that fragrance materials or masking scents are not used in the product. Unscented generally means that the product may contain chemicals that neutralize or mask the odors of other ingredients. 11. Keep Your Home Clean. Regular, weekly cleaning of your home helps to remove dust and prevent mold and mildew. If you don’t have a routine already, check out this list of printable cleaning checklists to get started. NOTE: This article first appeared in March 2018. It has been revised and updated for republication. I’m glad to hear you found something that worked for you!